While it’s true that California has it issues – and tight restrictions when it comes to gas furnaces that make them slightly more expensive, it’s not all bad on the left coast. This Payne PG8J Gas Furnace Price 80% AFUE review letter from Erica in Napa doesn’t sound too bad, does it? “Thank you for the helpful site! 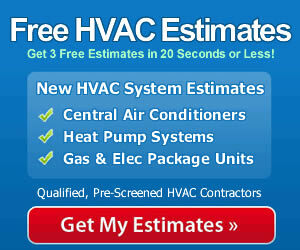 We did a lot of research on NewHvac.com to get initial ideas of gas furnace prices. Last year we started a home here on land we bought from one of the vineyard owners who decided to sell off some road frontage (to make up for poor wine sales we heard). We’re 15 miles from Napa and love the peace and tranquility out here. We’re excited about wrapping up our house surrounded by rolling hills and grape vines. We invited 3 different heating and cooling companies to give us prices on the furnace. Two of the contractors suggested furnaces of about 110,000 Btu while the other suggested a 70,000 Btu. Our best guess is that he didn’t factor in the basement, but since he didn’t seem real on top of it anyway, we disregarded his bid and focused on the other two. One recommended a super-high efficiency model while the other suggested we’d do just as well with an 80% AFUE furnace since the climate here doesn’t demand a lot of heating or cooling. We researched the brands and models and decided on the Payne PG8J because it offers a better warranty. We also figured it would take 6-8 years to make up the price difference if we went with the more expensive but more efficient furnace and right now we’d rather have that money in the bank. Payne PG8J 80% AFUE 110,000 Btu gas furnace, $1,469. Installation, $1,868. 80% AFUE which will keep utility bills low in moderate climates. Slow-opening gas valve is quiet, comfortable and efficient. Hot surface ignition is reliable and very durable. Multi-poise designs for placement virtually anywhere. 7 size choices from 44K Btu to 154K Btu. Heat exchanger is backed by a 20-year limited warranty, with a 10-year warranty for all other functioning parts. We welcome any HVAC prices you send to us and we’ll make them available to help other consumers compare and contrast models and prices. And we appreciate hearing your experience with installation too. We’re often reminded in your letters of the value of having a qualified contractor handle the job of sizing the gas furnace, installing it, and testing it to make sure it is running at peak capacity and efficiency. Always choose a professional installer with a good reputation and the experience to handle the job. That’s the best way to get the most from your system – and to have a warranty in place should anything go wrong.